In Tomcat 9, the core engine starts up faster than previous Tomcat versions and the web front end is active. This means that the HTTP Connector is open and listening to requests from your web browser. 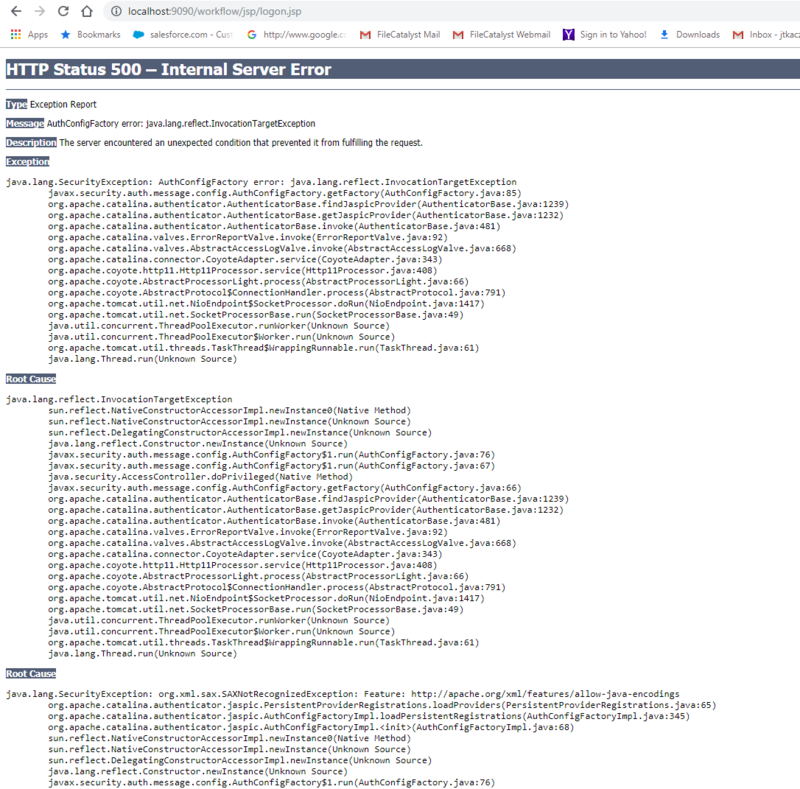 Our application which is a container in the application is still starting and as a result, the end user is presented with a HTTP 500 error. This bug resides deeper in the Tomcat code which can not be fixed by FileCatalyst. We have escalated this up to the development team of Apache. The resolution to this issue is to wait 1-2 minutes and Workflow will start up and synchronize with Tomcat 9.0.